Beginning May 28th - June 30th, begin your journey to save 20% on all your paper crafting supplies in the "Sign and Save" Product Kit promotion. Select ANY $55 in catalog product for only $50! With FREE shipping!! June 1st @ 11:50 p.m. Mountain time. You can get the Blendabilities Markers in your kit. That's right the Blendabilities will not be available to customers until the fall. But you can get $55 worth of these beautiful markers for $50 and the markers will ship free. If you "Sign and Save" NOW before June 1, 2014 @ 11:50 p.m. mountain time. BLENDABILITIES: Stock up! You'll get 30% off your first order of $150 or more (before shipping and tax) placed within 45 days. That means items out of the new catalog that goes live on June 2. You'll pay a discounted price but qualify for freebies as if you paid full price, including earning Hostess Rewards. When you purchase the kit, you join Stampin' Up! and receive demonstrator benefits, including a 20% discount and the chance to see and purchase new products early! That's right you will have the opportunity to see the new product from Holiday Catalog FIRST!! And in this case you will get the blendabilities first. Do it just for YOU! There's no requirement to hold workshops, parties or obtain outsides, ever. However, training and support awaits if you would like to earn extra income! Yes, you CAN simply buy the kit and nothing further. There's no penalty to drop. Your demonstrator benefits and discounts will be active, at a minimum, through October 31, 2014. FREE CONVENTION REGISTRATION! Stampin' Up! 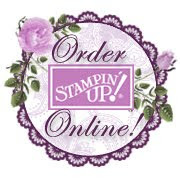 is offering FREE registration ($295 value) to the Stampin' Up! Convention in Salt Lake City (July 17 - 19) for anyone who joins or rejoins after July 1, 2013. It's a total immersion into paper, stamps and ink! Learn, feel special, and have fun! Purchase the kit and join through me HERE and you'll be on your way to fun, new friendships, fresh creativity and the resourceful stamping family. 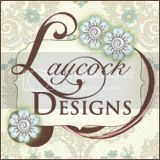 I welcome business builders and hobby stampers! It is ALL about YOU and what YOU want. Click here to see all the different types of Demonstrators! I would love to have you join me! I have enjoyed the catalog this year! Lots of great stamp sets and accessories. Another favorite stamp set is the background stamps called Sunflower. I thought this was a great stamp to be the focal point on a card with a saying below it! Really sad to see it go! Again these cards have been cased. Thank you to everyone who takes time to create this beautiful cards! AND...share them with me! Please click here to go shopping before it's too late! Can't believe IT'S time for a new Catalog! The new Catalog becomes active on June 2nd. I have my order ready! I really enjoy the stamps and accessories for this catalog! I think the mini caddies will be full of fun ideas! I made a cutout rectangle, masked the card so only the middle showed, and brayed it. I love the look of this card! I enjoy Fall colors. Wait until you see the new in colors! OMG...they are so beautiful! Today is the day to get some items discounted. Not everything is on sale but LOTS and LOTS of accessories are! OMG! Once this list is out...things go Fast. Don't think whether you need stamps or accessories...buy now! Go to my On Line Store and Shop till you drop! Blendabilities are right around the corner...you will love them. This is a great addition to our product! Here is a picture of a card from Stamping Up! The stamp and Blendabilities will be available on June 1st. You have to own this stamp set. It is called Blended Bloom. They used the Cherry Cobbler and Daffodil Delight Blendabilities. Make celebrations and birthdays a little more fun with this handwritten photopolymer stamp set by Jen Campbell. Recommended clear block sizes are A, B, and G (not included in the set). Our photopolymer stamps offer a versatile all-clear stamping option. You’ll find that our photopolymer is top-quality and gives a perfectly stamped image every time. The stamps stick amazingly well to our clear blocks and are easy to place just where you want them. And best of all, you get to enjoy tons of images for a great price! I love the blues in this card. They make the card pop...then you Cherry Cobbler and you have a match made in Heaven! Please go to my ONLINE store and shop today...Only a couple of Weeks before this stamp set is gone! I have been working with the New Blendabilities that will be in the 2014-2015 catalog. I don't know how to use them very well but I am loving the effect. I held off for a long time buying Copic markers. All my stamping friend were telling me how wonderful they are and I need to add them to my stash of crafting supplies. I am so glad I waited. A card is on my Facebook page....you gotta check it out! I will be doing a lot more of this coloring stuff! I have a few more Oh Hello cards left to show you. I will be doing starburst or sunburst technique and Washi tape. Hope I am inspiring you! Again, I am casing cards and they inspired me a lot! You may not know that I love purple. Anytime I see purple I get excited. I used markers and ink. I tried doing the top half the flower on my elegant eggplant ink pad and the bottom of the flower with Always Artichoke. I love those colors together! I stamped Happy Birthday on the inside of the card. I love the way this card looks. It is easy when you see a card you love and you have to case it! OMG! The colors are so stunning and the layout is beautiful. Thank you to whom ever created this wonderful card. This card speaks Summer and all the beautiful flowers that come out this time of year! We’re now offering prepaid subscriptions for Paper Pumpkin, our monthly subscription kit program. Each month a fully designed project kit arrives in a delightful box filled with stamps, ink, and paper–everything cut and ready to go. Just order the subscription length of your choice, and you’ll receive a redemption code where you can use it to redeem your subscription on mypaperpumpkin.com. Click here to start this process. Can you believe they now have PRE-PAID Subscriptions??? This is BRILLIANT! OH HELLO! I love this set! Hope you enjoyed the cards today. The Second one I stepped it up with ribbon.